InMobi, in many respects, is India’s forgotten startup unicorn. It’s not a consumer-facing business, and doesn’t command nearly the same amount of attention as its peers in the $1 billion club. Like other unicorns, it’s had its troubles – the company had fired 10% of its staff in April last year, after rumours that it was struggling to meet its revenue targets. But it appears that the company has turned a corner this year. InMobi has said it turned profitable in the year 2016, making it the first company from the unicorn club to make the claim. InMobi says that it’s been profitable every month since June 2016, and while it was in the red until then, the profits from the later months have ensured that it ended 2016 with profits to show. InMobi’s net profit was $8-10 million (Rs. 42-65 crore) in the October-December quarter, while its revenues were $300 million (Rs. 1,950 crore) over 2016. That is a serious turnaround for the company, which had netted losses of $40 million (Rs. 260 crore) in the financial year ended 2015. “It’s difficult to explain my feelings. We are no longer dependent on anyone, the business can scale on its own. 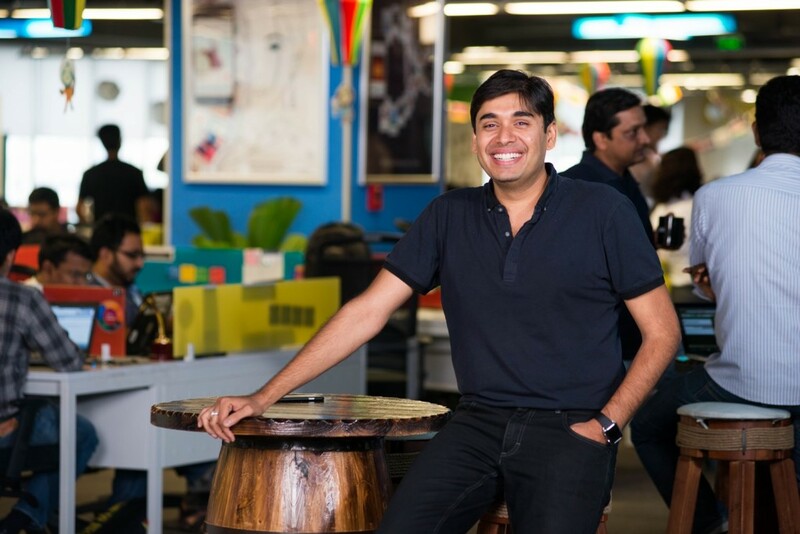 I also feel so proud,” said InMobi CEO Naveen Tewari. InMobi had been founded in 2007 as mKhoj as an SMS-based search company, but had pivoted to InMobi the following year and started focussing on mobile advertising. The founders had initially worked out of their apartment in Mumbai, but over the years have raised as much as $215 million (Rs. 1,400 crore). Unlike other unicorns, InMobi has a significant international presence – it has 22 offices in 17 countries across 5 continents. The bulk of its revenues don’t come from India – Tewari said that its five fastest growing markets are US, which accounts for 30% of its revenues, China, which follows with 28%, and India, Indonesia and Australia. India, which isn’t exactly known for producing globally sucessful startups, might just be making a name for itself in the ad-tech space. Divyank Turakhia’s Media.net had recently been acquired for $900 million, and InMobi, which competes with giants like Google and Facebook, too appears to be holding its own. These are encouraging signs, not only for India’s startup community, but also for other unicorns which would be looking to emulate InMobi’s footsteps.